Bourbon, Thoroughbreds and Barbecue..the Circle Is Complete! 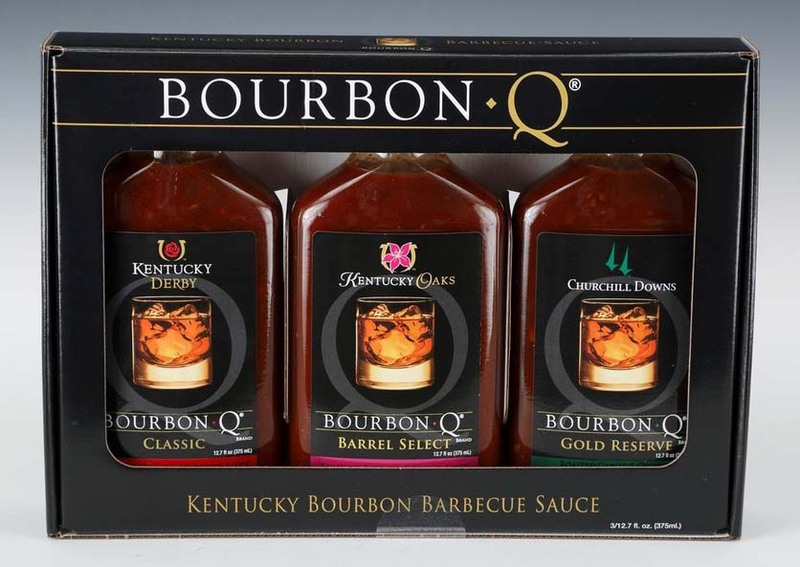 Our Champion Collection gift packs includes all of your favorite BourbonQ sauces. BourbonQ Classic our original barbecue sauce with smoky Worcestershire sauce, Gold Reserve with its bold flavors of Chipolte and Garlic and Barrel Select's perfect mix of fresh garlic and caramelized onions. Share the good things in life (mostly Bourbon) with your friends. Here's to you and yours! Our hope is that you'll enjoy sippin', dippin' and sharing our Champion's Collection.